No doubt, your child is always looking to have more screen time. 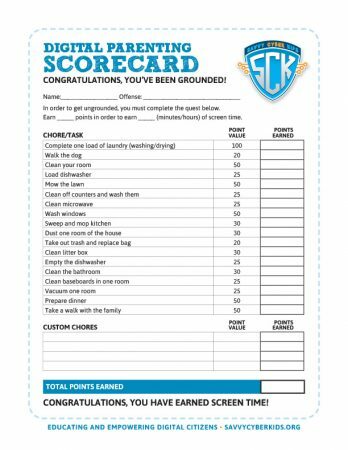 If you find yourself grounding your child and taking away video games OR if you want to reward your child with screen time for good behavior, consider making a game out of it—and it will get your home clean! Shown below, the Digital Parenting Scorecards contain examples of chores that can be completed around the house to reward your child or to help your child work through a punishment and allow him/her to ‘win’ their television or video game time. Feel free to tailor the list for your household, including assigning a set number of days or daily minimum score requirement. Be sure not to score of the tasks too high and allow your player to win too quickly. But also be sure to not make this quest unattainable with too low task scores. 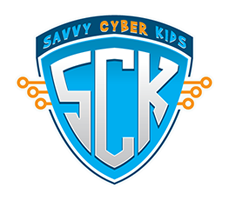 To download the Savvy Cyber Kids Digital Parenting Scorecards, signup for our free resources.